Those fans will never give up! Even when a sour apple will cause pains in the stomach! But I like my oldies : IPAD and IPOD. Working for many years now. No more updates, but i dont care. Those were the days when they made quality. Not today. Only producing profits with sheepeople (I LIKE this expression). Well see how it all shakes out but I really have no faith left in Apple.. This is all over the internet today... And the new Samsung Galaxy is set to be released February 20th. Is it just me, or the timing of this "report" seems strangely convenient? All of these comments make me sad. This is people who don’t use the Apple devices and just read about them, ranting about how much they hate Apple. You don’t hear me ranting and complaining about how bad Samsung is! Why people, why? Personally I don't want to see Apple fail they have great software but their hardware is beyond horrible. 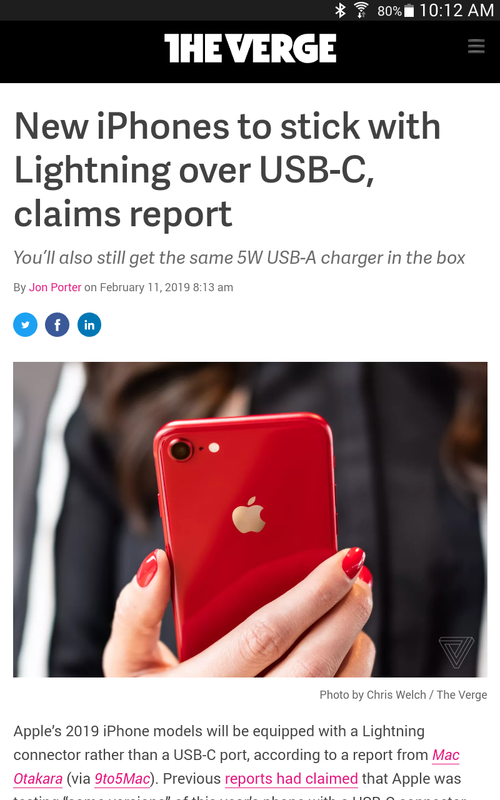 I would however like to see them admit their mistakes and improve their hardware instead of trying to milk every customer for every penny possible. Smh. Apple has amazing hardware. You’ve just never used it. Specs aren’t everything. An iPhone doesn’t need has much RAM as phones that run android because iOS is a much lighter operating system. I’m tired of people talking trash about Apple that haven’t used both phones. Apple and Samsung both make excellent phones. They are just very different. Also, iPhones beyond a shadow of a doubt have the nicest cameras. You cannot change my mind on that point. Your comment is one of those that makes me wish we could downvote in the anker community. I used Apple products for years until I found something better. I was talking about how they use inferior metal in their phones that bends and how a speck of dust literally one speck of dust can shut down a MacBook pro and on and on and on. BTW Iphone cameras "beyond a shadow of a doubt" are not the best phone cameras. Apple products are overpriced and designed to fail.. I was not looking to change your opinion I was simply sharing mine but if you doubt what I say do your own research. I have owned and used both iOS and Android phones. With the high end Android phones work just as well if not better in certain instances and vice versa. I would never buy an iPhone, but that's because I like customization of Android and do not like being told I cannot do something such as where I store or access my music. I do however use a MacBook pro that was given to me, it's an older 2012 model but gets the job done. Omg, a camera that is good is a camera that is good. I don't know why people care about the best "camera". The truth is that the best shots are on real cameras, and phone photography is for convenience. Also, if you don't own relatively new apple technology, I'm sorry , but you can't speak much about it. Apples hardware is really good, but the software is the real important thing. Samsung'a phones may have (much) better specs (according to some), but apple's software makes its weaker specs come to nearly the same level as Samsung. And I know ram isn't everything, but apple still makes good products. Also thank you to @ajsanders2004 for also saying that. 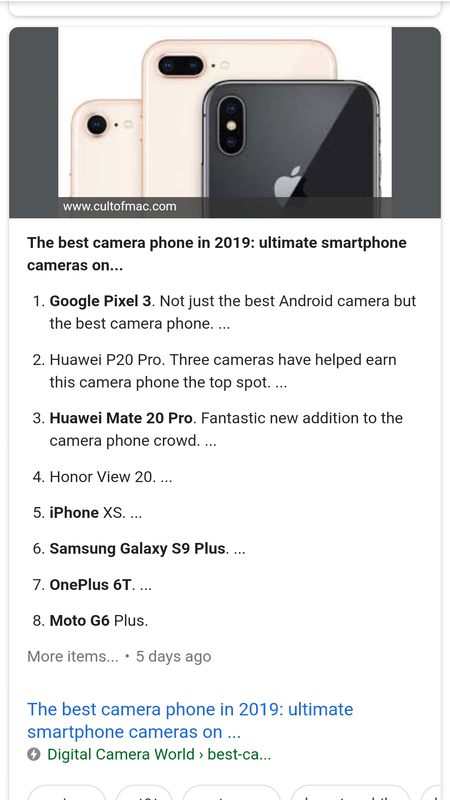 BTW, I am not saying android phones are bad, some of them are incredibly good, all I'm saying is that apple makes great products. Everytime I saw a news about Apple, I saw comments about "sheep". People need to grow up and stop the sheepy comments. It is a customer choice, not your choice. Lol, true but your talking milli seconds of speed. Would rather run heavier duties than load a webpage fast. 4gb of ram is barely used on desktop pcs anymore, the 64 bit architectures have issues over time. Personally I could care less who has the best camera. I only pointed out that Apple doesn't because there was a claim made the apple does have the best camera. What's up with people deciding that they know what products certain users are familiar with? To be clear that was rhetorical question. Just because I do not own an iPhone does not mean that I'm unfamiliar with them. I'm just saying to truly know if they're any good, you have to own one and use it regularly. However, I prefer iPads over Android Tablets.The iPads seem to last longer and stay useful for my needs longer.